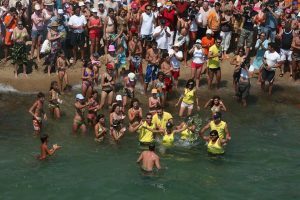 The Toroneos Swimming Marathon is one of Halkidiki’s most recognized yearly events and perhaps its greatest sporting competition. 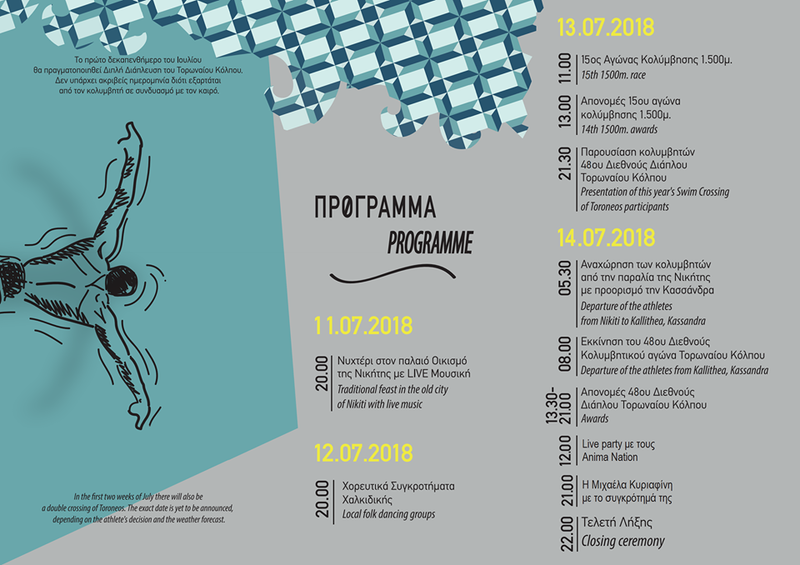 This year, Nikiti in Sithonia will host the 48th annual crossing of the Toroneos Gulf between the Kassandra and Sithonia peninsulas on Saturday the 14th of July. 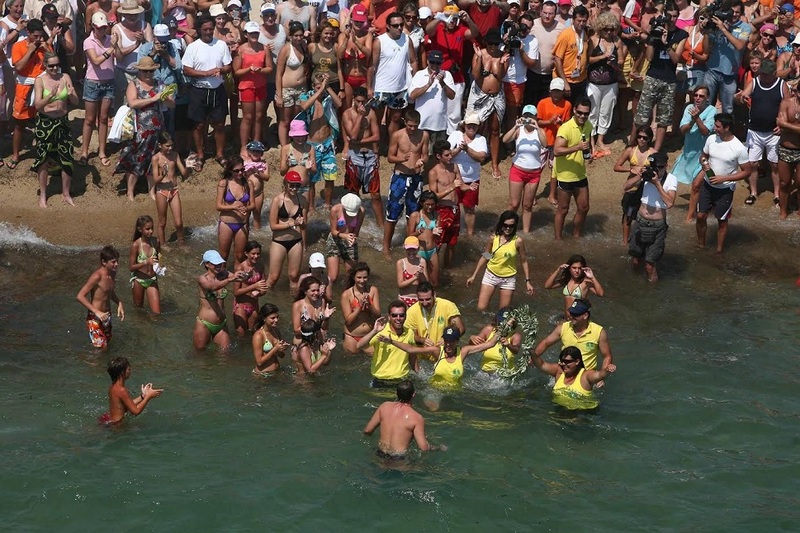 The athletes are selected to compete in this gruelling race that extends 26 kilometers from Kallithea on the Kassandra peninsula and will end at the Nikiti beach in Sithonia. The competitors must have participated in a previous competition to qualify for this race and they are narrowed down to just 20 participants. Starting at 8:00 am from the hotel Palini Beach in Kassandra, the athletes will begin their swimming quest to win one of the most recognized swimming events in Greece. Each swimmer will be escorted by a boat for their safety and other boats will cover the event. The participants come from around the world proving this to be a recognized international swimming event. Observers and supporters will gather on the Nikiti beach where the athletes will arrive sometime in the afternoon. The fastest time to date is just inder 6 hours to complete the 26 kilometer distance. Towards the end of the day on the Nikiti beach is where the closing ceremony will be held and even though there is only one true winner, all are in fact considered winners due to their success and are awarded the olive wreath as a symbol of their victory!